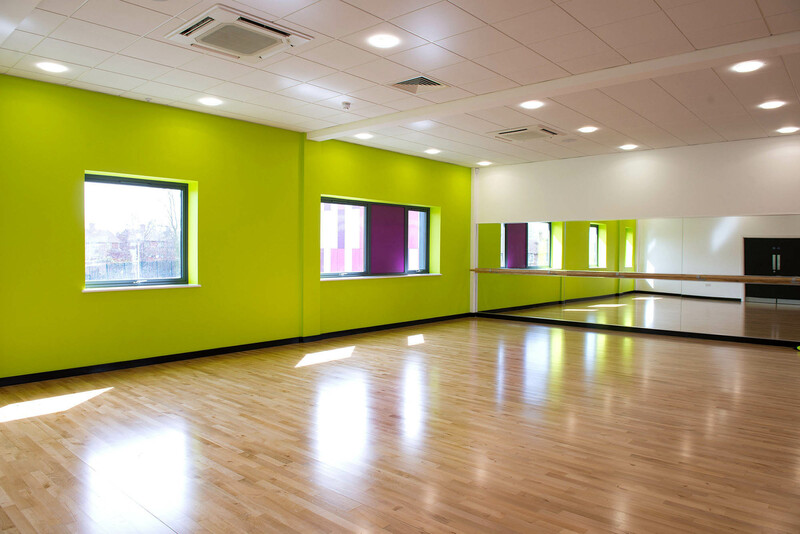 The project consisted of the demolition of the existing sports hall and associated changing rooms and the construction of a new sports hall with attached two-storey changing facilities, gym and dance studio. Speller Metcalfe worked closely with the design team to deliver value engineering solutions which included reducing the height of the building, removing an existing link in the building and M&E installations. 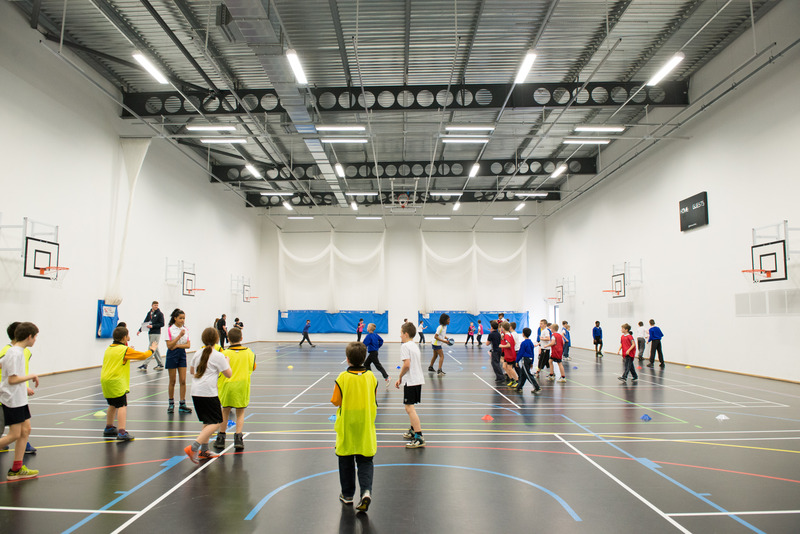 The existing sports hall was demolished after it had fallen into disrepair with unsuitable changing facilities and become dilapidated internally. 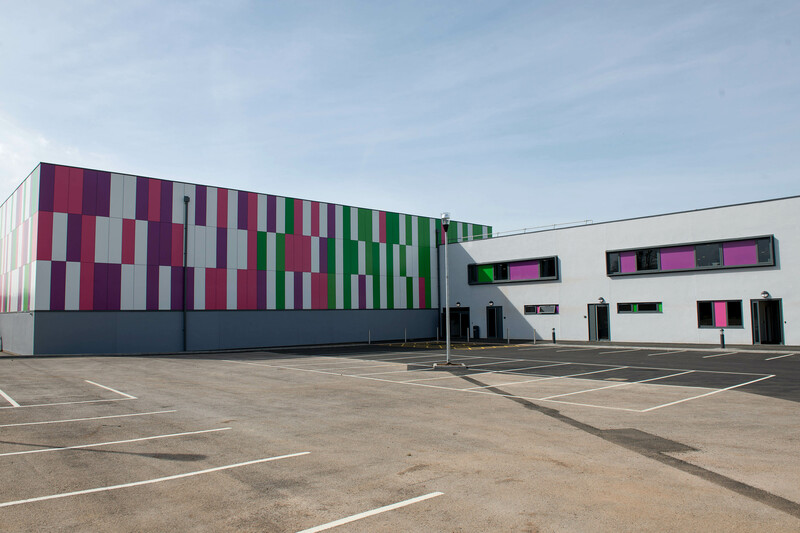 In its place, two new buildings now stand; a new sports hall (664 m²) and an adjacent gym and dance studio (520 m²) with associated changing rooms, built to Sport England criteria. 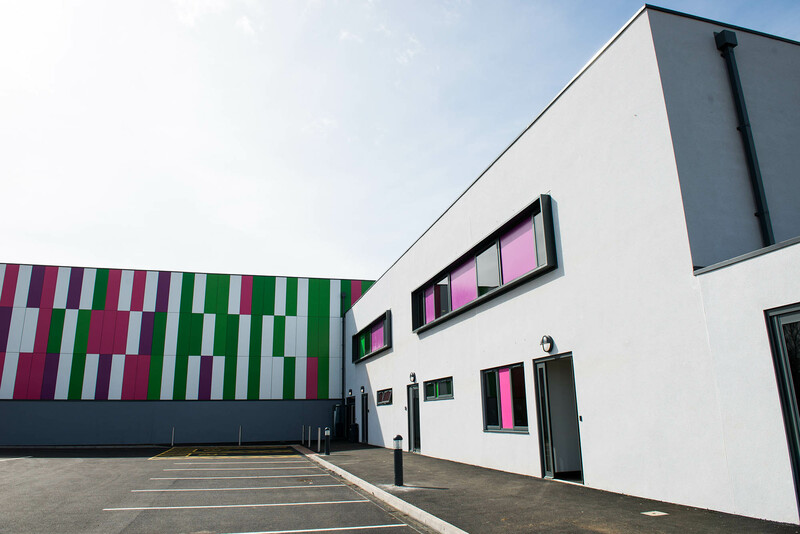 Following isolation of services and demolition works, the new two-storey sports hall was constructed using steel frame and cladding with a mezzanine viewing level, with the gym and dance studios built using a steel frame and traditional masonry. PV panels sit on the roof to generate an additional energy supply, alongside heat recovery systems and re-use of materials on site as a top soil for landscaping. 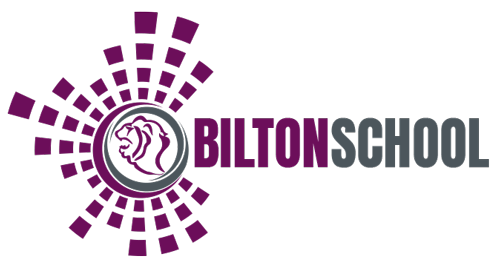 As with all of our clients, Speller Metcalfe worked closely with the school to establish their needs and carefully plan the works to minimise disruption to students and teachers.